If this doesn’t proved we’re well and truly fucked, I don’t know what does. 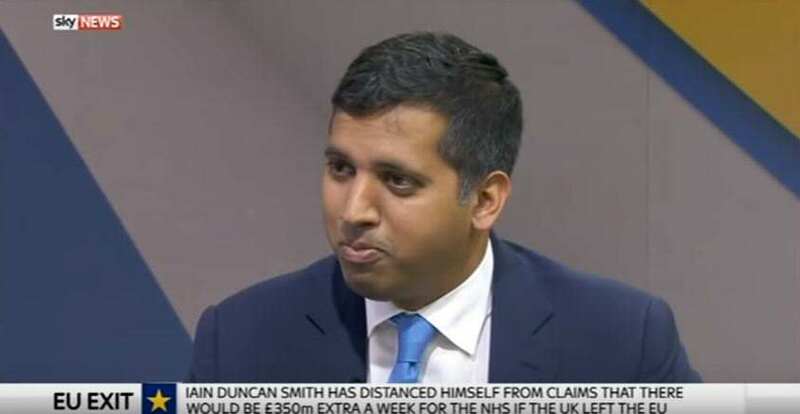 Sky News political editor Faisal Islam has been left speechless after claiming a Conservative pro-Brexit MP told him the Leave campaign ‘didn’t have a plan’ for Brexit. Yes, that’s right. There is ‘no plan’ for Britain leaving the European Union. The MP then apparently pointed toward the Houses of Parliament and said: “Number 10 should have had a plan”. It sounds like I’m making that up. That literally happened two hours ago. So – and I’ve said this before – the person with the most thought through plan, as evidenced by the past 48 hours, is, astonishingly, Nicola Sturgeon, the first minister of Scotland. Which is – let’s be honest – worryingly true. While Islam didn’t specify exactly who he was speaking about in the clip, he said in a Tweet that it was a Conservative Leave MP and Boris Johnson supporter who claimed there was ‘no plan’ for Brexit. So there we have it. The pound has hit a 30 year low, there is post-EU Referendum racism on the streets of Britain and the plan that has been prepared for life after Brexit? Well, there is none.